On 29 October 1829, Ann was sentenced to life, transportation to New South Wales. The crime was pick-pocketing; she was indicted for stealing a purse from a William Rickarby. Ann pleaded guilty. See court summary below. The Roslyn Castle sailed from Downs on 3 March 1830 and arrived in Sydney on 29 June 1830. The Master of the ship was Henry Ferguson (see transportation of John Robertson Edney in 1833). 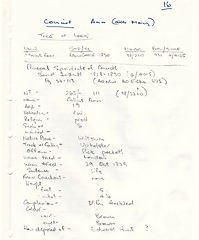 Ann is listed as single, 19 years old, 5 feet 4.25 inches, brown hair and eyes, freckled, protestant, cold read and write. 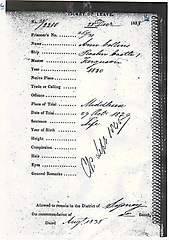 As a convict, Ann was allotted to an Edward Hunt. 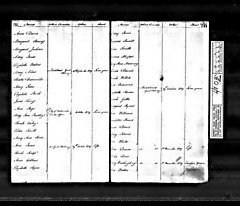 In 1831, Ann married Alfred Abbott, a freed convict who had arrived in 1824. 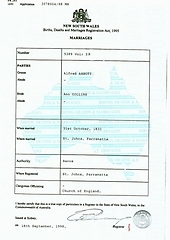 The Governor's consent was granted to this marriage under the authority of Banns by the Church of England at St Johns Church in Parramatta. 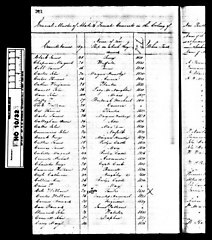 In August 1831, Ann's ticket of leave was granted (No. 38/2210). 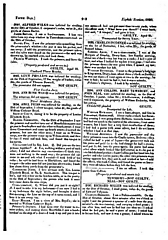 Conditional pardon was issued on 16 January 1847. It is not clear what happened to Ann. 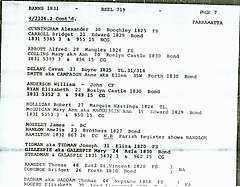 On the marriage of her son William in 1858, his mother is listed as Amelia Sophia Clark, suggesting that Alfred had remarried. This may be because Ann had died.